Microsoft Office has been one of the most popular office productivity software on Windows and Mac OS X desktop platform. To promote the ecosystem, Microsoft has released free touch-optimized Microsoft Office apps for iOS and Android in respective official app store to cater for the mobile Office users. However, Windows 8 and Windows 8.1 desktop operating systems, which designed for hybrid desktop and tablet use, doesn’t have a free Office software available from the Windows Store. Instead, users have to fork out a hefty sum to purchase full Microsoft Office suite, relying on the web-based cloud Office Online platform, or subscribe to Office 365 plan that comes with Office desktop software. With the arrival of Windows 10, things about to change. 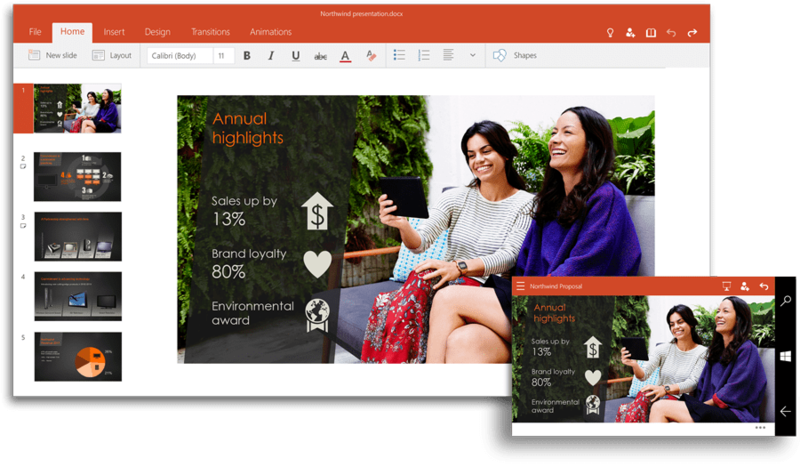 Microsoft has announced the availability of the touch-enabled Office 2016 preview apps for Windows 10, which works across desktop and notebook PCs, tablets and smartphones of all shapes and sizes. 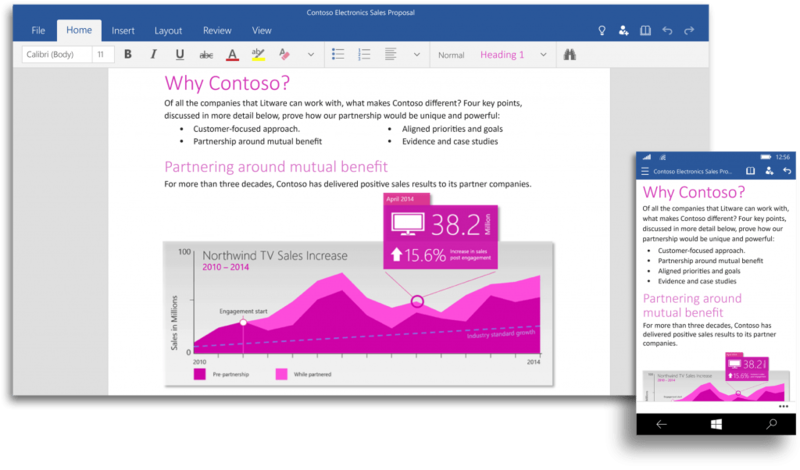 The latest versions of Word, Excel, and PowerPoint apps are accessible and available for free download in the new Windows Store Beta of Windows 10, starting from early February 2015, with Outlook and OneNote apps coming later. The universal Office suite is optimized for touch-based use and is designed to scale and work well on small screen devices such as mobile phone or tablet, to desktop or laptop computers including hybrid devices such as Microsoft Surface. 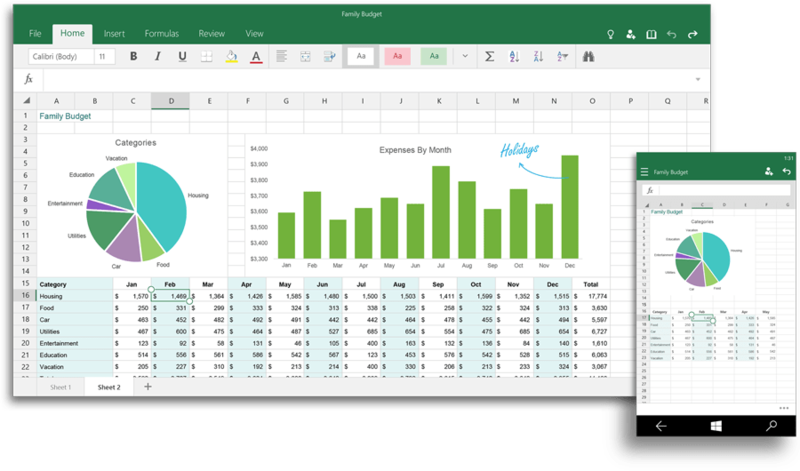 In fact, the apps of Office suite for Windows 10 will be pre-installed and bundled for free on Windows 10 smartphones and small tablets. Universal apps will also be available for download in the Windows Store for other devices. 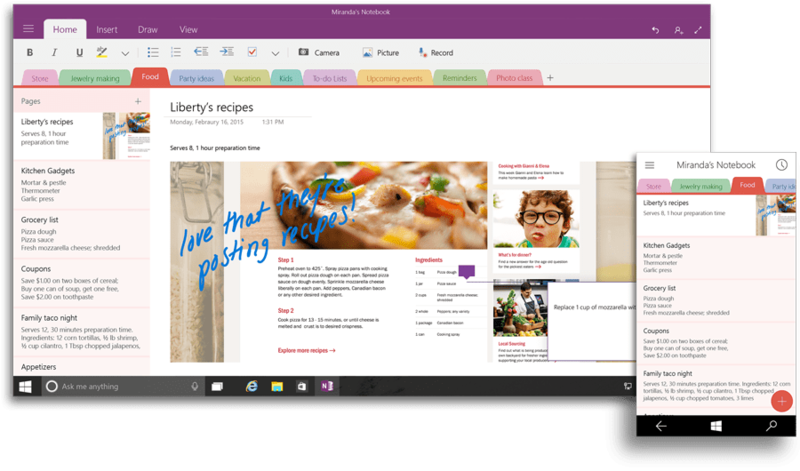 Other than the universal Office apps for Windows 8, 8.1 and 10, Microsoft is also expected to release Office 2016 desktop suite which is UI optimized for keyboard and mouse by the second half of 2015. 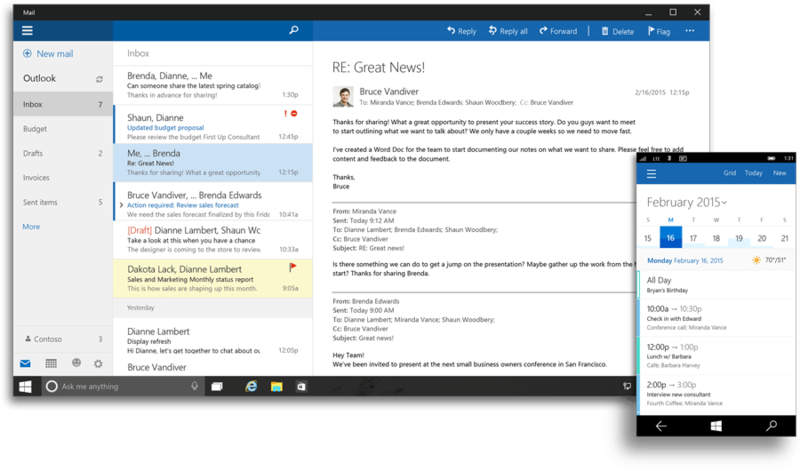 Most functionality of the universal Office apps is available for use for free during the preview. However, after preview, some functionality will require a qualifying Office 365 subscription. If you prefer desktop Office apps, Office 2016 Preview for Windows and Office 2016 Preview for Mac are available for free downloads. Update: Word for Windows 10, Excel for Windows 10 and PowerPoint for Windows 10 are now named as Word Mobile, Excel Mobile and PowerPoint Mobile which are free for mobile devices like smartphones and tablets with screen sizes less than 10.1″, but require an Office 365 subscription for editing on bigger devices. In the meantime, Microsoft is bringing the full version of Office to Windows Store on Windows 10.